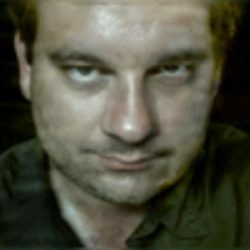 I am Dan Hoeweler, a paranoid delusional author whose works have recently appeared in several street newspapers, literary journals and horror magazines. I am mostly published in alternative presses and my writing is concerned with the issues of insanity, morality and the psychotic experience. Psychotic disorders have been an enigma throughout the ages. Through my poetry and writings I will take you into the workings of the psychotic mind, and you will learn what it is like to truly be considered “insane”. Within my mind lies horrors beyond the understanding of man. Within its depths one can find a world of spies, C.I.A. agents and thought control devices. This is a world that few travel to and it is here that one can face demons from beyond. If there is a hell then surely it lies within the inner depths of the psychotic, who roams our world in a terrifying alternate state of consciousness. I have tried to capture the inner workings of the psychotic mind through my memoir, poetry and writings, which are painted within a paranoid delusional landscape. Within these stories one can meet an endless array of persecutory monsters that haunted my mind, and still continue to haunt the minds of millions.